Do you know the “no white socks with suits” rule? It’s big and serious, and it’s something you don’t do unless you want to come eye to eye with the fashion police. As it turns out, we should also have a dataviz officer patrolling the wilderness that the Internet has become. Too many crimes are committed on data visualisations these days. We thought it’s about time we had the “no more than a six-piece pie” conversation… Let’s look at the most common data visualisation mistakes and how to stop them from spreading. One of the most common mistakes we have seen is choosing a wrong chart type to visualise data. 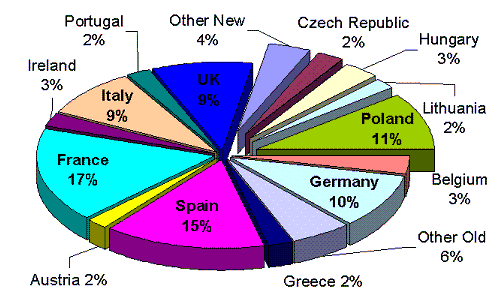 The pie chart is a prime example (see below). Other common types of charts that often become targets of mistreatment include bar, stacked bar and radar charts. Each chart is designed with a specific purpose in mind and is useful for solving a limited range of tasks. 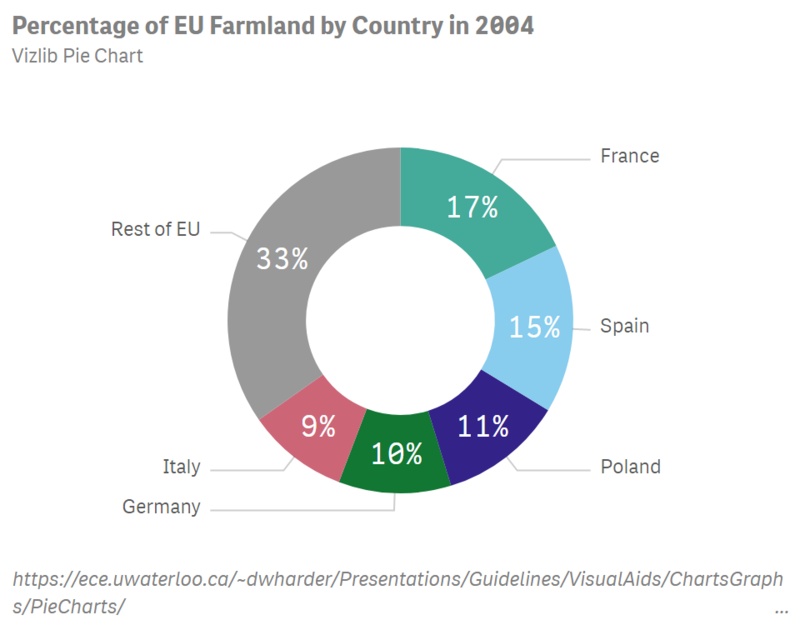 Picking a wrong chart typically leads to confusing, if not incorrect, data visualisations that mislead the reader’s perception. It does the opposite of what data visualisations are meant to do. 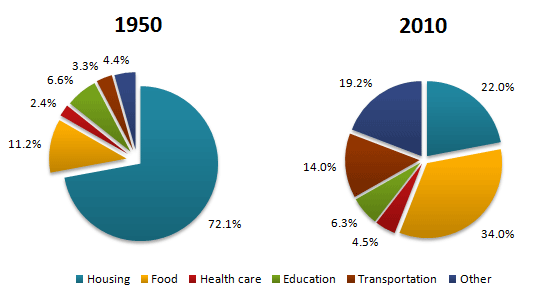 The pie chart should be used to display data for no more than 6 categories. It’s best suited for displaying percentages of a whole: if the whole pie is 100%, then each of the six slices represents portions of the whole. The bar chart is designed to help you compare different categories of data. It should always start at 0 to present the information in a fair and accurate way. The stacked bar chart should only be used when you want to show that a value is a sum of other values and you’re comparing the totals. It could also work if you’re highlighting the section at the bottom, which makes the bars easily comparable. The radar chart (also known as the spider chart) is useful for providing an overall assessment through multivariate data, but you have to be careful with choosing the right colour palette. With multiple axes and data points, it can get very confusing very quickly. The whole point of using charts and graphs is to help readers understand the information at a glance. When we use a wrong chart, we lose the advantage of communicating key learnings in an easily digestible form and essentially render the charts meaningless. Solution? Start with the final message: what are the key points you’re trying to make? Which chart can help you highlight them? Is it understandable at a glance? The trick here is that the most minimalistic visualisations that are easiest to understand require the most behind-the-scenes thinking. Remember the pie chart from the example above? Here’s how it should look to provide value. Unless you want to be accused of trying to manipulate your audience, never mess with the axes. It’s the easiest way to distort the information and give the viewer a misleading representation of your data. Here’s an example from the Fox News. 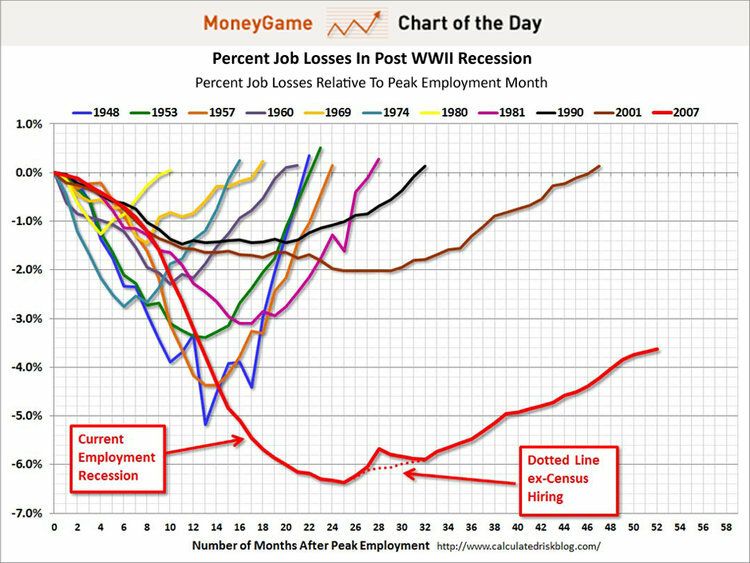 As you can see (or, in fact, can’t see anymore) the y-axis is gone, making the gap between seven million and six million looks three times bigger than it actually is. 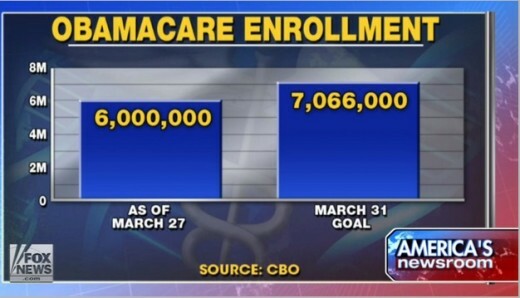 Here’s the correct version of this bar graph. Without context, charts raise more questions than answers. Removing axes values also erases the context, making the data easy to manipulate and misinterpret. When creating charts and graphs, ensure you’re displaying data with a zero-baseline y-axis and, in case you need a more detailed view, create an additional chart to highlight that area. 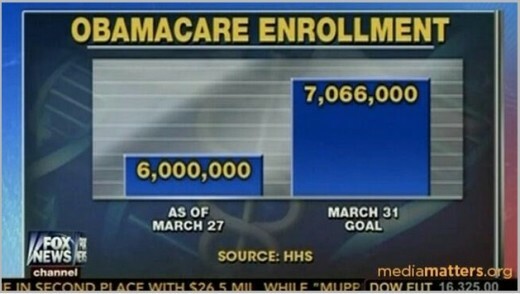 It’s almost too easy to go off track with data visualisations if you don’t have a clear plan. When it comes to comparing data, charts are supposed to make it easier to identify trends and pinpoint problem areas. In most cases, that’s exactly what they do -- they highlight patterns that would otherwise be very difficult to spot. But when wrong choices are made, the results can be disappointing. If your brain hasn’t started hurting yet, give it a moment. Presented in two separate charts with obvious changes in data points over time, the information is difficult to interpret and makes the reader work harder to unlock the insights rather than offering them at a glance. To avoid making this mistake, seek out a second opinion on your final visualisations (reading your own charts is almost like reading your own handwriting, you can hardly be objective about it). Assuming the reader’s perspective might help you stay on point with colour and chart choices. 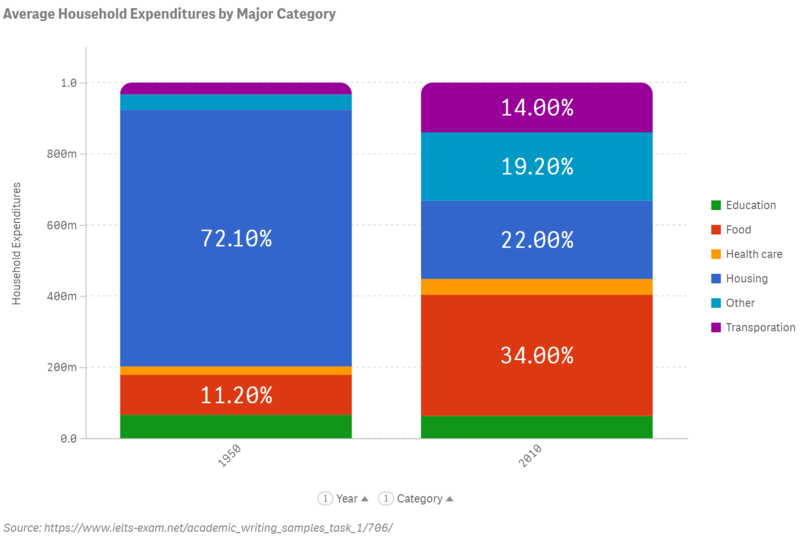 With a few tweaks, the data from the example above comes to life in a Vizlib stacked bar chart. You have so much great data and you want to show it all, I get that. However, the classic “less is more” rule is very much valid in the data world, too. All great data visualisations tell stories, and for those stories to be seen, heard and understood, the background noise and distractions must be reduced to the barest minimum. Choose one story per chart and run with it. If you pack too much data into one chart, the story will be lost (see the example below). Over-complicating your chart leads to ambiguity and the reader’s frustration. To save your audience from such monstrosities, have a clear plan well before you begin charting -- what are you trying to show? You know what else is easy to get wrong in data visualisations? Colours! Check out our uncomplicated guide to colour palettes to save yourself the headache later. Forgetting about your reader (or user) is the common denominator in all these examples. Sometimes getting over-excited or not spending enough time on planning your data visualisations can lead to poorly designed charts that add little to no value for the audience. 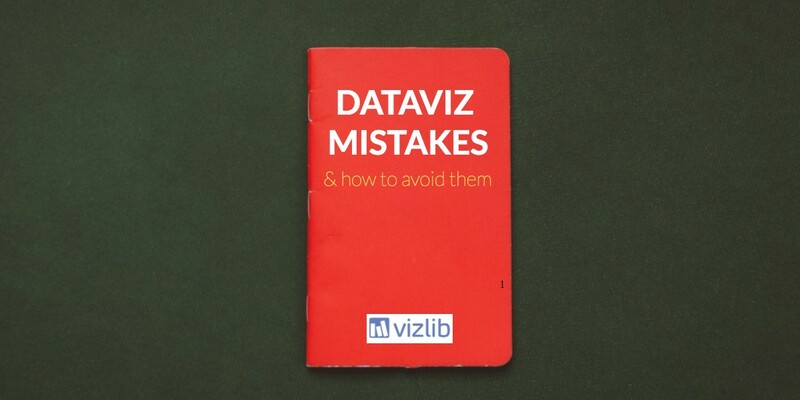 Data visualisations are only going to get more important in the coming years, so it’s key that we develop the right habits and avoid these classic mistakes to ensure our dataviz game is stronger than ever. -->Take a look at our chart library.